What happens when your revenue forecast falls short? What went wrong – and who is responsible? In some cases, missed revenue goals can set into motion a wave of negative reactions that lead to finger-pointing and frustration. Morale suffers and along with it, the motivation to drive future revenue-producing initiatives. This all-too-common scenario often signifies a breakdown in your forecasting process; more specifically, a lack of organizational alignment during the forecast creation. In this blog, we’ll explore how this happens, why it happens – and what every organization should be doing to ensure its forecasts are collaborative and achievable. Building on the scenario described above, let’s demonstrate further with a narrative. A mid-sized manufacturing company asks its finance team to set revenue goals for the upcoming year. The Finance team bases these predictions on multiple factors, such as the company’s YOY Growth rate and other historical trends. Sales goals are set, signed off on by executives, then flowed out to the different departments like Sales, Marketing and so on. While team leaders of those departments have some ability to push back on the goals that are set, their involvement feels reactionary, even forced. Then, if those teams don’t hit their revenue targets, they feel as if they never “agreed” with them from the start. Even the teams who DO hit their revenue goals feel a growing chasm between their daily work and their ability to influence and shape growth for the company. Overall, as tensions mount, there is a general lack of accountability and morale suffers. To avoid this all-too-common scenario, there’s a strong need for active collaboration and comprehensive input from multiple teams during the forecast-creation process. Companies should use this time to look at the organization as a whole and align values and expectations with revenue targets. The key is to work together to find a reasonable medium for all parties. A publicly traded company, for example, may want to start the forecasting process with discussions among C-levels to determine what investors are expecting from a revenue standpoint. Executives can then work in tandem with several cross-functional subgroups to best find ways to achieve those goals. As specialists in their areas, department leaders are a valuable resource in driving initiatives that will produce the desired revenue, and they are the best resources to weigh in on the feasibility of your targets. Cross-Functional Collaboration: Who Should Be Involved? While the Accounting and Finance team is a good starting point in initiating your revenue targets, key input from the following groups can – and should – influence those targets as well. (Check out our blog about leveraging your financial planning team.) Here’s a high-level look at some key organizational areas that are often, surprisingly, overlooked during forecast creation – along with the questions that they can help answer. Demand planning: What does the demand look like for the products/services around which initial revenue goals were created? Can you ensure the required demand exists? Supply planning: Are the raw materials available to produce your desired amounts? Do you work with global suppliers with longer lead times – and how will those lead times affect production? Operational planning: Can the manufacturing operations produce the quantities needed to achieve your goals in the required timeframe? Do they have the enough manpower (and equipment power) to produce your desired capacities? Is the sales staff big enough to feasibly hit your revenue targets? Do you need to leverage or redistribute various specializations (with certain products or services) among your sales staff to better align with your goals? Are the sales targets, if met, supported from a compensation standpoint? What are the channels and geographic regions your company should focus on? What are your opportunities for revenue across both B2C and B2B markets? How saturated are your prospective markets? Which markets can absorb the quantity of products/services that your forecast requires? 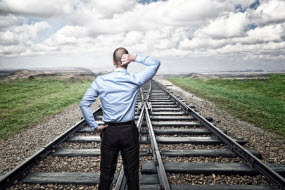 Recognizing the need for a cross-functional forecasting process is an important first step. Now how do you implement this collaborative approach? For some companies, putting this into effect may start by shifting from your finance-first mentality. It’s also essential to find ways to foster communication and increase visibility. Simply formalizing revenue initiatives in writing and sharing them with your team, for example, can increase accountability and help team members feel involved, along with creating shared files that are accessible at any time. Keep in mind, rethinking your forecasting process doesn’t happen overnight. Need More Help With Forecasting? 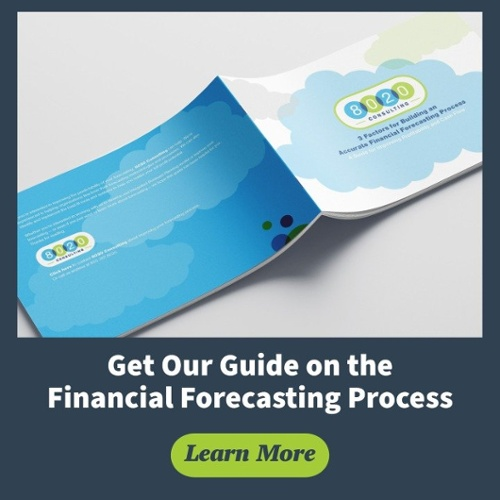 For a deeper look into financial forecasting process, click the button below to get our free guide. You can also reach out to us to learn more about streamlining your financial planning and analysis processes. We can help you identify key drivers for success that will get your revenue goals on track and guide you to a better bottom line. Thanks for reading! June has 14 years of finance experience in strategic planning, forecasting and budgeting, financial analysis, business valuation, restructuring, merger and acquisition, system implementation, contract negotiation and operations. Her industry experience spans the apparel, food and beverage, entertainment, manufacturing and pharmaceutical industries at companies including Patagonia, Overture Films, Technicolor and Catalyst Pharmaceutical Group. Her core competencies include business plan development, project management, system integration/implementation, process improvement, cost savings initiatives, and shareholder package. June holds an MBA from Pepperdine University, Graziadio School of Business and Management and a Bachelor of Arts from the University of California, San Diego.